Outstanding Graduate Students are selected by their programs for their achievements in several areas, including research, leadership, teaching, academics, service and promise for the future. 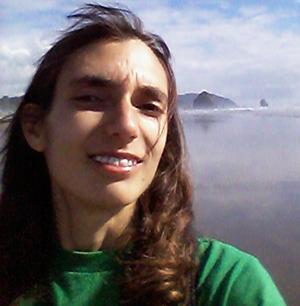 Chloe Allmand of Grays Harbor graduated in June with a Master of Arts degree and is an Outstanding Graduate Student in English Studies/English. 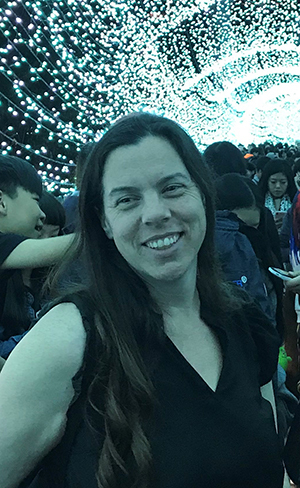 Her areas of research focus include English pedagogy, gender and sexuality, and the relationships between English professors and their students. Her thesis, "You Know? : Decoding 'Knowing' in the English Professor/Student Relationship," was a study of what English professors actually mean when they use the common phrase, "getting to know their students." Allmand presented her paper, "Transvestive Role-Projection: 'You Go Girl!' Guys and Game of Thrones,” at the Pacific Ancient and Modern Language Association conference in Honolulu last fall and the work was accepted for publication in a forthcoming special issue of Pacific Coast Philology. She was selected to present her paper "Subverting Sublime Heteronormativity: Negotiating Heaven and Hell in Beckford's Vathek" for the English Graduate Scholar's Week Panel and to present her thesis at the PAMLA conference at Western this fall. Her work was also included in “Washington's Best Emerging Poets” a poetry collection from Z Publishing. Allmand was a poetry editor for The Bellingham Review, taught English 101 classes and was a yoga instructor at the Student Recreation Center. Next, she plans to apply to Ph.D. programs to continue her thesis research. Allmand completed her undergraduate degree at Central Washington University in English. She is the daughter of Ron and Ruth Allmand and the partner of Aaron Hardy. Sahar Arbab of Pittsburgh graduated in June with a Master of Arts degree as an Outstanding Graduate Student in Environmental Studies. At Western, Arbab was part of the team that developed and launched Huxley College of the Environment’s environmental justice minor. She also served on the Environmental Studies Department’s Community and Equity Committee and helped develop a survey to capture students’ experiences within the department. For her master’s thesis, she worked with Bellingham’s RE Sources for Sustainable Communities to develop a program that supports high school students as they take action on issues they’re passionate about. Arbab worked closely with Kate Darby in exploring issues of environmental justice. “She is incredible at fostering students’ critical thinking skills through her teaching and advising,” Arbab says. Now, she is spending the summer in the University of Michigan’s Environmental Fellows Program and working for Grist, a news outlet that focuses on climate, sustainability and social justice. Arbab, who completed her bachelor’s degree at Allegheny College, is the daughter of Ellen Reinsdorf. Jo Ann Arinder of Bellingham graduated in June with a Master of Education degree and as the Outstanding Graduate Student in Adult and Higher Education. Arinder focused her research on English as a second language, technology in education and life-long learning. During her time at Western, Arinder presented her work on technology and international instruction at CATESOL, an organization for teachers of English language learners in California and Nevada. She also completed service-learning projects with English language students at Western and Bellingham Technical College. She served on Western’s Graduate Student Advisory Council, as a teaching assistant in the Hacherl Research and Writing Studio and as a graduate assistant for Adult and Higher Education. Arinder completed her undergraduate work at New Mexico State University in interdisciplinary studies and English, and Western in history. Next, she’ll begin a doctoral program in language, literacy and technology at Washington State University. Arinder is married to Aaron Arinder and the mother of two sons, Aric and Alex. Rose Engelfried of Hillsboro, Oregon, graduated in June with a Master of Fine Arts and as the Outstanding Graduate Student in Creative Writing. Engelfried worked closely with English professors Kate Trueblood and Carol Guess to complete the first 80 pages of her novel, “Mirror Me,” for her thesis. She also published a short story, “Just Breathe,” in the spring issue of Capulet Magazine, presented her work at the 2017 Pacific Ancient and Modern Languages Association conference, and taught English 101 with Associate Professor Jeremy Cushman. “I love working with freshmen,” Engelfried says, “often as the first professor who actually knows their name and takes a personal interest in the work they do in class. I believe in encouraging students to follow their passions as a way of making writing something they don't just do for a grade, but use to develop their interests and learn new things about themselves.” Engelfried, who did her undergraduate work at Pacific University, has been accepted to Florida State University’s Ph.D. program in creative writing. She is the daughter of Steven Engelfried and Tina Engelfried. Md Monsur Hossain of Dhaka, Bangladesh, graduated in June with a Master of Science degree and as the Outstanding Graduate Student in Computer Science. Hossain served as a graduate research assistant and graduate teaching assistant at Western and focused his research on human-computer interaction, information and communication technology for development, and autism. He conducted a study to design technological solutions to improve the experience of students with autism. His work on designing autism support technology was accepted by the prestigious ACM CHI Conference on Human Factors in Computing Systems. Hossain enjoys creating technology solutions for people who need them: He has created free apps in Bangladesh that help people reach emergency services and help people learn English vocabulary to prepare for the GRE graduate school exam. Next, he’ll work as a programmer analyst at Walmart. 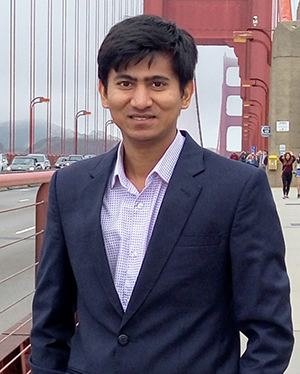 Hossain is a graduate of the Bangladesh University of Engineering and Technology in computer science and the son of Md Moazzam Hoassain and Begum Rokeya. 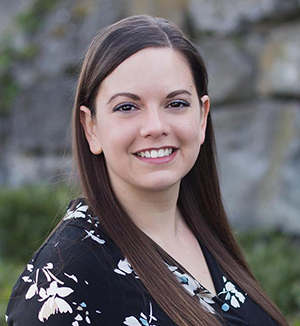 Courtney Lancaster of Lynden graduated in June with a Master of Education degree and is the Outstanding Graduate Student in the Language and Literacy Program. This past school year, Lancaster served as a long-term leave replacement in eighth grade at Evergreen Christian School in Bellingham and incorporated her research into her teaching, having her students use the online collaboration program Padlet to write about their reading in social studies. She also had her students write character journals while they read historical fiction about the Civil War. Now, she’s editing a piece for publication, “Meeting 21st Century Standards through Writing about Reading on Padlet.” After graduation, she plans to continue teaching in Whatcom County. Lancaster completed her undergraduate degree at Summit University in Pennsylvania. She’s the wife of Kyle Kooy and the daughter of David and Susan Lancaster. 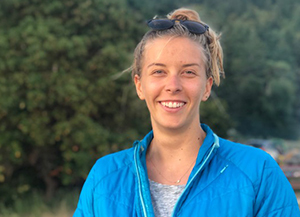 Brooke McIntyre of Bellingham graduated in June with a Master of Science degree in environmental science and as the Outstanding Graduate Student of the Marine and Estuarine Science Program. For her thesis, McIntyre studied native Olympia oyster larvae in Fidalgo Bay in order to aid restoration efforts for the species. The state of Washington and community groups have been collaborating to restore the Olympia oyster for more than a decade, and McIntyre communicated with community members and tribes while developing her research and later presented her findings at two conferences and at a local community science symposium in Anacortes. Now, she’s preparing her research manuscript for publication. 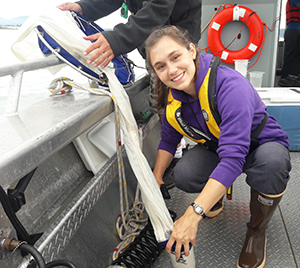 Throughout the process, McIntyre credits Shannon Point Marine Center marine scientist and biology faculty member Shawn Arellano with helping her become a better scientist. While at Western, McIntyre also served as a teaching assistant in the Environmental Science Department and as a research associate for Arellano at Shannon Point. She also volunteers on the executive committee for the Surfrider Foundation’s Northwest Straits Chapter, which hosts local beach clean-ups, performs monthly water quality testing and supports ocean-friendly business practices. McIntyre earned her undergraduate degree in biology and environmental studies from Pacific Lutheran University and is the daughter of Bob and Lisa McIntyre. After graduation, she is continuing to work as a research associate in Arellano’s lab and will work this summer for the National Science Foundation’s Research Experience for Undergraduates program, mentoring undergraduate students from around the country as they conduct their own research projects this summer. 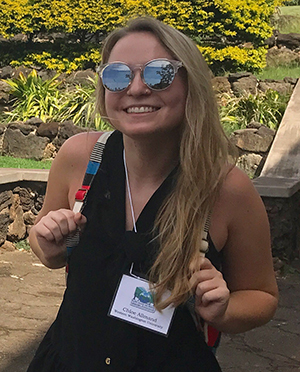 Sydney McPhearson of Seattle graduated in August 2017 with a Master of Arts degree and as the Outstanding Graduate Student in Rehabilitation Counseling. She completed a practicum and internship with Neurological Vocational Services at Harborview Medical Center in Seattle and was hired after graduation as a rehabilitation counselor, helping to provide employment services for people living with neurological conditions. She has also passed the Certified Rehabilitation Counselor Credentialing Exam. McPhearson gave birth to her son Remi while in graduate school, and also suffered the loss of her father, James Thomas. “The support of my family, faculty, and cohort members provided an invaluable support network that helped me transcend my grief and gain skills for providing therapeutic support for others,” she says. McPhearson is a graduate of University of California San Diego with a Bachelor of Science in cognitive science. Her family includes husband Josh McPhearson, son Remi, step-son Teague and mother Helen Thomas. Amber Michaelis of Bellingham graduated in June with a Master of Arts degree and as an Outstanding Graduate Student in Speech-Language Pathology. Michaelis worked in Western’s Speech-Language-Hearing Clinic and worked closely with Clinical Educator Fletcher Scott, “a great mentor and role model in working with people with autism in both a humble and highly skilled way.” Michaelis is spending the summer working at a summer camp in Bellingham for children with autism and will soon begin work as a pediatric speech therapist in Seattle. Michaelis did her undergraduate work at Western in communication sciences and disorders and is the daughter of Debbie and Keith Michaelis. 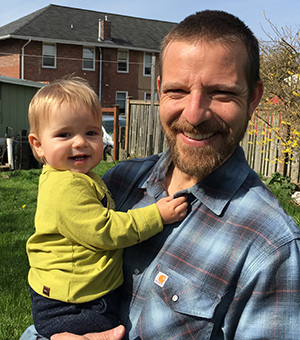 Peter Miterko of Lakewood, Colorado, graduated in December 2017 with a Master of Arts degree and as the Outstanding Graduate Student in Anthropology. Miterko specialized in cultural anthropology and was a member of Western’s Medical Anthropology Lab and a teaching assistant in the Anthropology Department. For his thesis, he partnered with a regional nonprofit to explore how community develops and is experienced among staff and residents of a local permanent supportive housing program. His work produced insights into programming and policy recommendations designed to foster more equitable participation among residents of permanent supportive housing. 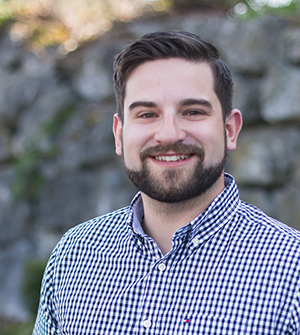 Miterko will soon join Northwest Youth Services as a housing case manager for 22 North, a new supportive housing program opening in Bellingham this fall. Miterko is the partner of Monica Walker and the son of Lisa Eastin and Peter Miterko. He completed his undergraduate degree in social science at Westminster College in Salt Lake City. 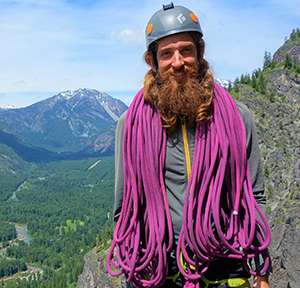 Kevin Moens of Seattle graduated in June with a Master of Arts degree and as an Outstanding Graduate Student in Environmental Studies. His area of research is environmental policy, particularly the development of community solar projects that allow for multiple people to own portions of a solar array. His work resulted in a recommendation for a community project with WWU, the Western Foundation and community members. Moens also worked as a teaching assistant in Environmental Studies, and he volunteered at the Community Boating Center. Moens did his undergraduate work at the University of Wyoming in geography and environmental and natural resources. He now works at A&R Solar in Seattle. Jonny Mooneyham graduated in June with a Master of Business Administration and a Master of Science in computer science. He’s the Outstanding Graduate Student in the MBA Evening Program. A two-time recipient of the MBA Program’s Excellence in Leadership Award, Mooneyham worked as a teaching assistant for both the College of Business and Economics and the Department of Computer Science. In the Computer Science Department, Mooneyham was a graduate research assistant in machine learning with Assistant Professor Brian Hutchinson. His area of research included machine learning and hypermarameter tuning. After graduation, Mooneyham plans to continue as a software development leader and data scientist. He also aspires to be a servant-leader who empowers those around him. “I am goal driven and want to use my abilities to reach my full potential,” he says, “and to leave the world a bit better and to know that even one life has breathed easier because of the work I have done.” Mooneyham, who did his undergraduate work at Western in business administration and French, is married to Samantha Mooneyham. 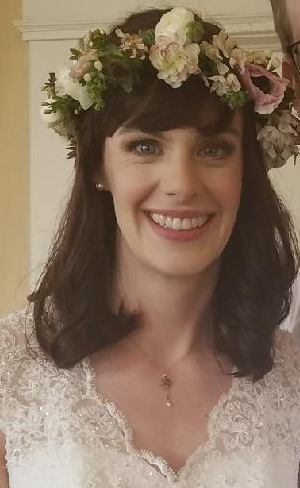 Rebecca Morris of Calgary, Alberta, graduated in August 2017 with a Master of Science degree and as the Outstanding Graduate Student in Geology. Morris worked with Geology Professor Susan DeBari to investigate the generation of new continental crust at volcanic arcs. 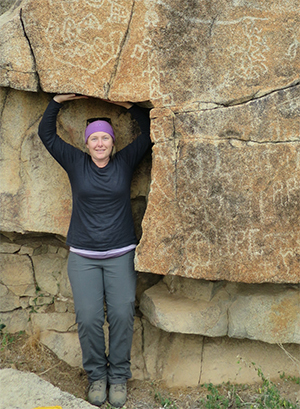 She looked at the physical and chemical relationships between erupted and non-erupted rock units within an extinct, accreted, and well-exposed volcanic arc in Baja California. Her work helps the broader science community address questions on how continental crust grows and evolves. Her manuscript is under review by the Journal of Petrology. Her thesis work was part of a larger project funded by the National Science Foundation, and she collaborated with geologists at University of California, Davis. While at Western, Morris also worked as a teaching assistant for a variety of geology courses. She continues to work through Western on the NSF project as a research analyst, collaborating with U.C. Davis on building a 3-D arc crustal model. In September, she will start a Ph.D. program at the University of Victoria, where she will study an extinct and accreted volcanic arc on Vancouver Island. Morris did her undergraduate work in geology at the University of Calgary. 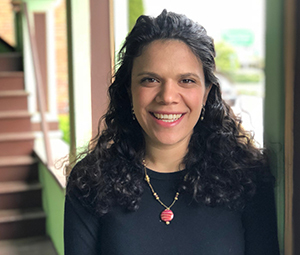 Alysia Noriega of Bellingham graduated in June with a Master of Education degree and as an Outstanding Graduate Student in the Psychology – School Counseling Program. Noriega presented her work on school-based restorative justice practices at the Washington School Counselor Association Conference. She also worked in Assistant Professor Aaron Smith’s lab researching post-traumatic growth in veteran populations. She completed a counseling internship at Birchwood Elementary in Bellingham, worked as a middle-school tennis coach and at FACES Northwest, which works with youth and young adults who have autism. Noriega also earned her undergraduate degree in psychology at Western and counts many faculty among her mentors, including Assistant Professor Lucy Purgason and Associate Professor Diana Gruman, who encouraged her to become a school counselor. She also appreciated the program’s small cohort of just six graduate students. After graduation, Noriega is moving to Portland to become a school counselor. She’s the daughter of Deanna Rousu and Philip Noriega. Shane Reed of Yakima graduated in June with a Master of Business Administration degree and as the Outstanding Graduate Student in the Accelerated MBA Program. At Western, Reed is a graduate assistant at the Small Business Development Center in downtown Bellingham. “Seeing how my work benefited local businesses and helped bolster the local economy was extremely rewarding,” Reed says. Reed also enjoyed working with others in his cohort, a diverse group with a broad set of skills. 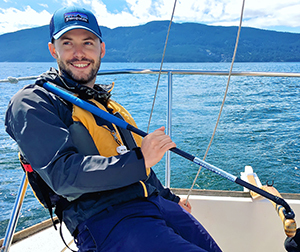 Off campus, Reed competed in the Swiftsure International Sailing Race out of Victoria, B.C. After graduation he and his wife Madeline Reed moved to Portland, where she will enroll in nursing school at Oregon Health Sciences University. Shane Reed is considering his career options and eventually wants to open his own business. He is the son of David and Kathy Reed and a graduate of Washington State University. 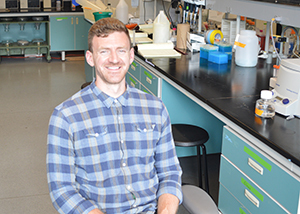 Ian Smith of North Bend graduated in June with a Master of Science degree in chemistry and is an Outstanding Graduate Student in Chemistry. His graduate research was in Professor Paul Spiegel’s lab, using X-ray crystallography to solve the 3-D molecular structure of a human/porcine blood coagulation factor, which could serve as a next-generation therapeutic for hemophilia A. Smith was also a teaching assistant, teaching general chemistry lab sections. Off campus, he volunteered at PeaceHealth St. Joseph hospital in Bellingham, at the Lighthouse Mission and at the Max Higbee Center. Smith graduated from Western in biochemistry and psychology in 2012 and worked in the corporate sector before returning to Western for graduate school. Next, he’ll begin medical school at Pacific Northwest University of Health Sciences in Yakima and plans a career in biochemical research and medicine. He’s the son of Marsha and Russell Smith. Janis Vander Ploeg-Wolfe graduated in June with a Master of Business Administration degree and is the Outstanding Graduate Student in the Traditional MBA Program. She was also the recipient of the Donald H. Cole Memorial Graduate Fellowship. Prior to entering the program, Vander Ploeg-Wolfe worked at Care Medical Group; she credits her coworkers and the clinic’s owner, Dr. Richard Wei, for giving her the skills and encouragement to pursue her MBA degree. During her second year in the MBA program, Vander Ploeg-Wolfe was a graduate assistant at Western’s Small Business Development Center, where she helped further the SBDC’s mission of helping local businesses start and grow successfully at no charge. 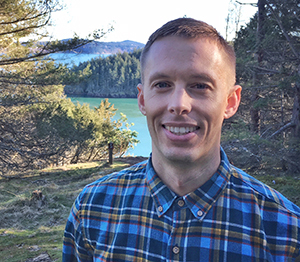 Shortly after graduating, Vander Ploeg-Wolfe accepted a position as Clinic Operations Manager at CorePhysio, a physical therapy clinic in Bellingham. “I love tackling anything that challenges us to push past our limits or conquer fears,” she says. “I hope to ignite and support the intellectual process in others so that, together, we solve problems in unique and meaningful ways.” Vander Ploeg-Wolfe, who earned her bachelor’s degree from Western in English, is the wife of John Vander Ploeg and the daughter of Phyllis and Gary Wolfe. Gabriel Wechter of Maple Falls graduated in June with a Master of Science Degree in mathematics and is an Outstanding Graduate Student in Mathematics. His research focus was on partial differential equations, particularly nonlinear scalar conservation laws. He also worked as a graduate teaching assistant, teaching one math class each quarter. Wechter completed his bachelor’s degree in mathematics at the University of Alaska Southeast in Juneau and will teach math at Whatcom Community College this fall. He’s the husband of Melissa Wechter; the couple lived on a sailboat to save money while he was finishing his graduate degree.